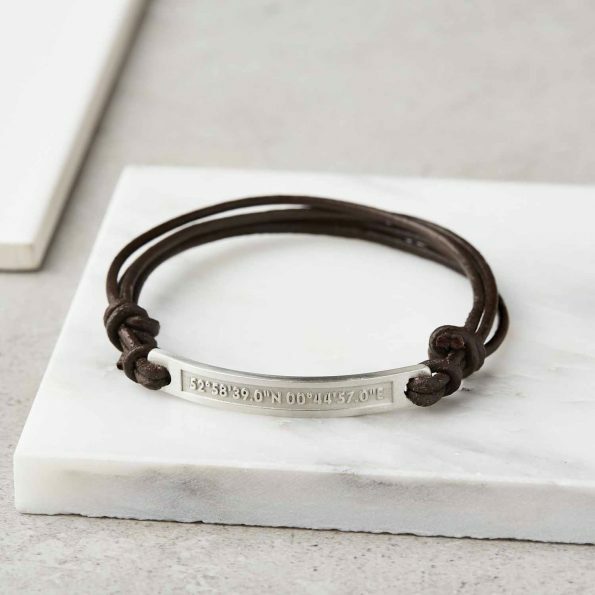 Sterling silver and leather bracelet etched with the coordinates of your special place or a short message, on a genuine leather cord. You tell us your special location (this can be absolutely anywhere!) – and we’ll calculate the latitude/longitude coordinates. 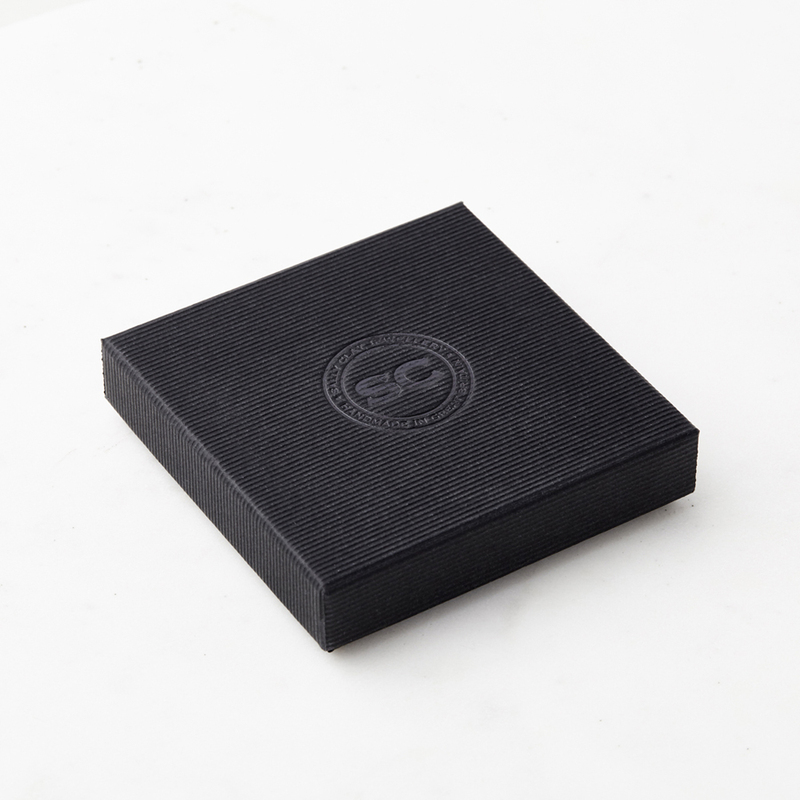 Alternatively we can engrave any text of your choice (up to 20 characters) on the front of the silver. You can add a hidden message on the back of the bracelet. 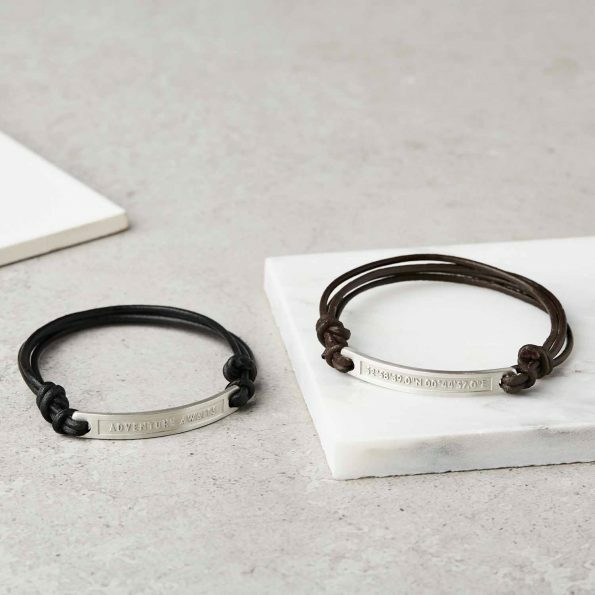 We can engrave up to 34 characters, including spaces and punctuation on the inside of the bracelet including all symbols such as ★,♥, &, @ and can engrave in any language. 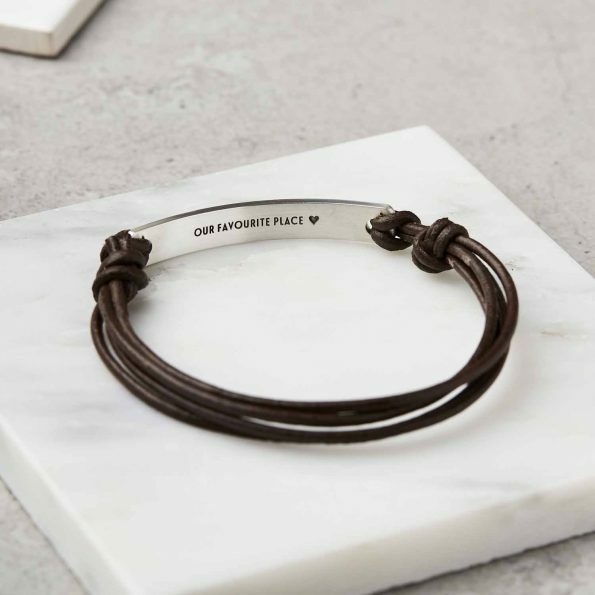 This bracelet makes a great birthday, anniversary, graduation Father’s Day or Valentines Day gift and the perfect gift for that ‘difficult to by for’ teenager. Choose from black or brown leather cord. When ordering, please be as specific as you possibly can with your location and we will calculate the Latitude and Longitude from your information. If we have any problems locating your special place, we’ll contact you as soon as possible for additional information. If you already have the coordinates that’s great! Simply type them into the relevant box on the right. Made from sterling silver with a genuine leather adjustable cord. The silver bar measures 4.5cm by 0.6cm. The cotton cord bracelet is fully adjustable to fit any wrist. 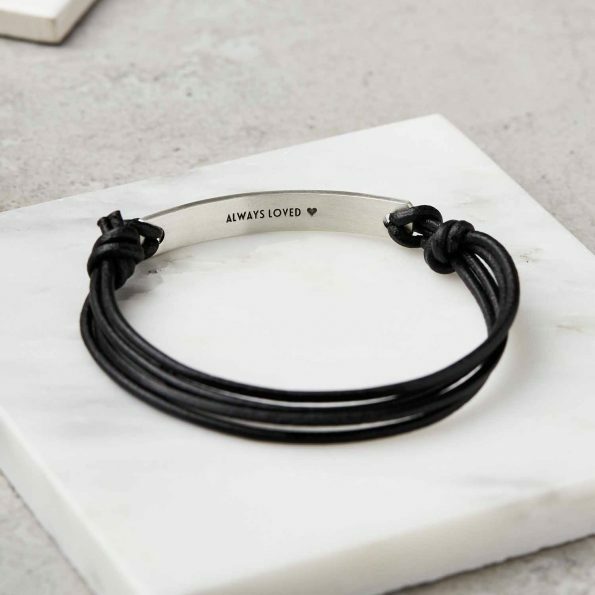 We recommend that the bracelet should be kept dry.